Available year-round, these oval, edible seeds scooped from pumpkins have long been a valued source of nutrients. These seeds are a common ingredient in Mexican cuisine and can also be eaten as a snack raw or roasted. Containing remarkable levels of copper, iron, magnesium, manganese, phosphorus, protein, vitamin A, vitamin B, and zinc, pumpkin seeds are a phenomenal health food. They are also high in fiber, boasting the fiber intake of anyone who consumes them. The health benefits of pumpkin seeds include reducing the risk of prostate cancer, improving body metabolism, reducing inflammation and arthritis pain, promoting kidney health, relieving anxiety, reducing cardiovascular disease risk, advocating kidney health, and strengthening bones. 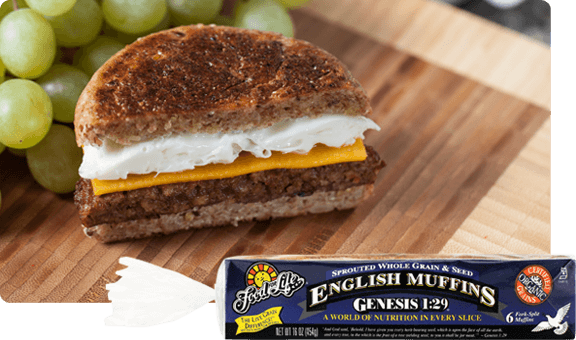 Food For Life uses organic pumpkin seeds to create nutritionally dense breads and English muffins.